Happy Tuesday, all! I mentioned in my post yesterday that I was asked to be a guest designer this month...and today is my day to reveal who! 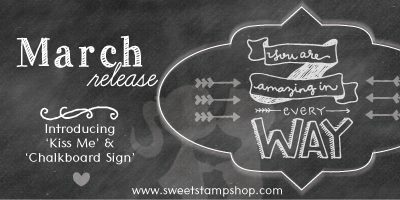 I am guest designing for Sweet Stamp Shop this month, and the new stamp reveals start today! 1. Make A2 card from light orange cardstock. 2. Cut bokeh paper slightly smaller, then wrap two strips of crepe paper around the bottom of it. 3. Add a strip if paper garland above the crepe paper, then ahdere the entire block to the card front. 4. Stamp the sentiment to vellum, and heat set. 5. Adhere the vellum sentiment to the front, adding some foam adhesive to the upper right corner. 6. Randomly adhere sequins underneath the top of the vellum sentiment, then accent it with a jewel. 7. Add a large jewel to the popped right corner to cover the adhesive. 8. Arrange and adhere the flowers to the lower left corner as shown to finish. So, I got kind-of lucky because this crepe paper trim is actually from the same collection. One is a pre-CHA sample, and the other is a post-CHA product where the dye was perfected for the collection. While one is not completely correct, it allowed me to arrange the crepe paper to give me that ombre affect utilizing product, rather than stamping. And I just love how it turned out!! I hope that you do too! I am so in love with your card, that I pinned it as soon as I saw it! Just absolutely gorgeous! Love all your trims, and fun flowers! 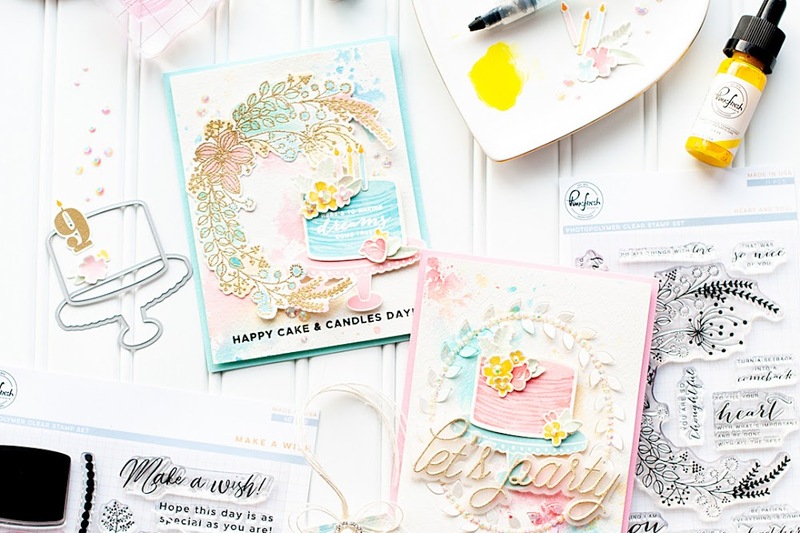 Loven' this SSS blog hop! You ladies are so talented!!! Beautiful card. I love the ombre affect. 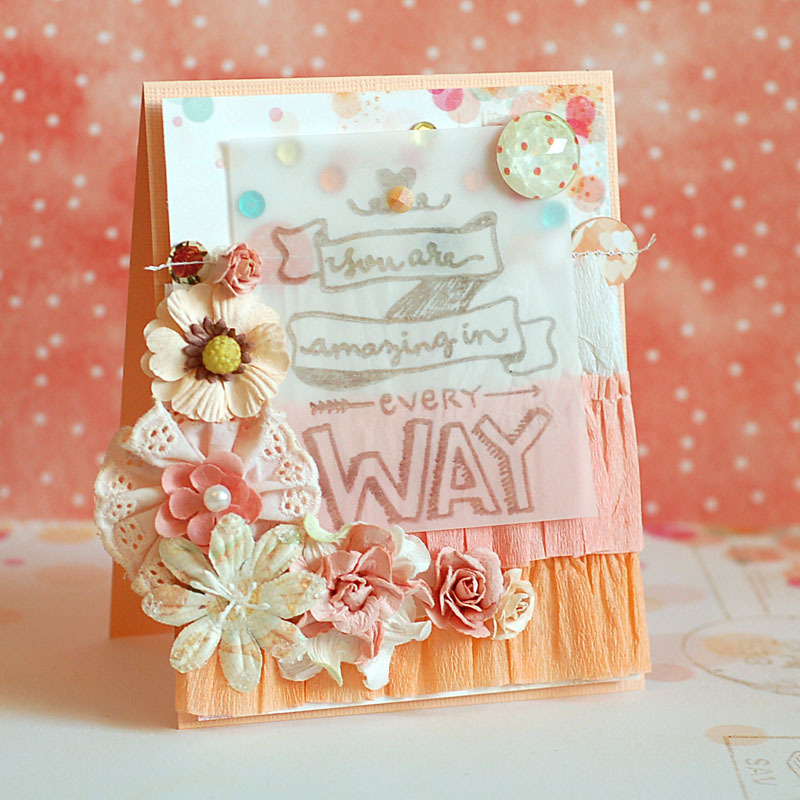 love the card and the touches of pink and peach. Beautiful soft colours and such pretty flowers. Thanks for playing at TG. Very pretty way to use this stamp. I like the crepe paper and flowers. Love the vintage/romantic feel to this card! Oh my gosh, love the vellum and the crate paper ruffles!! So ingenious and adorable!! Very cool! Love the different layers going on! This card just makes me happy Lea! I LOVE the vellum and the confetti and that gorgeous trim. So so pretty! This card is beautiful! I can't get enough of the ombre ruffles! Oh my Lea! This is incredible! 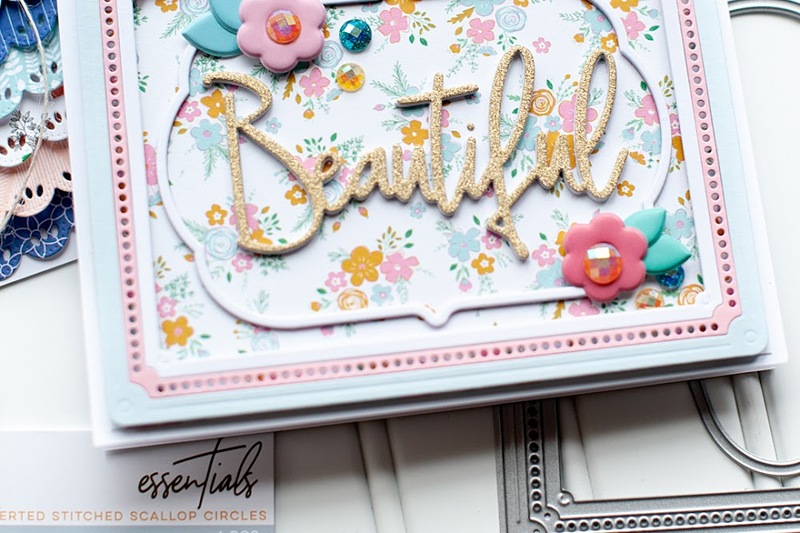 Utterly gorgeous card and I love all the pretty layers and embellishments. I really like the softness of the vellum and the colors on the card. It is such a pretty design. This turned out so pretty! What a great way to use this image! How great is this card with the stamped vellum and those sequins peeking out underneath! Gorgeous. oohhh loving the vellum and crepe paper! This looks AMAZING on vellum! Love how you used the crepe paper on the bottom as well! Fabulous card Lea, I like it a lot. LOVE what you've done with the crepe paper here, girl! And the ombre effect is just icing on the cake! 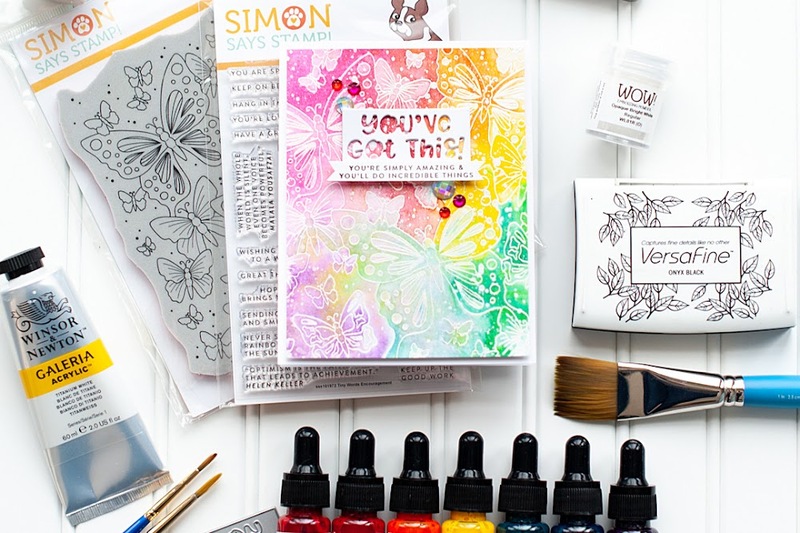 Your vellum sentiment panel is delish, too! Hey, thanks for stopping by to say hello and leave some love today! That means so much to me. Hugs!